Needing quick and simple ideas to transform how you recruit top talent? We are welcoming Theresa Nordstrom to speak over the lunch hour on Tuesday, April 16, 2019 (11:00AM - 1:00PM). Register TODAY to avoid paying any late fees! 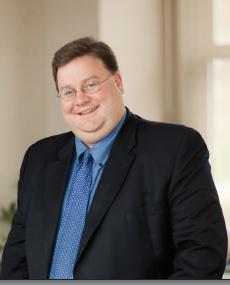 Mark Hudson will serve as our presenter for our harassment training breakfast event on Tuesday, May 21, 2019 (7:15AM - 9:15AM). Click here to register or see below for further details. Are you interested in sponsoring a meeting, sending an e-mail blast and obtaining a discount on future sponsorships? If so, consider serving as a GRHRA partner. See below on options for this new GRHRA feature. The Spring Super Sector Event is occurring tomorrow from 8:00 - 10:30am at the Birchwood Learning Center. This event is FREE to attend. See below to register. Needing more Professional Development Credits? SHRM is offering a special promotion to take one of SHRM's virtual programs and get a second one FREE. Read below to find out how to take advantage of this offer. Harassment Training - Tickets will be on sale soon! Save the date! Mark Hudson will present a follow-up sexual harassment training. He will also touch on other types of harassment in the workplace. Be prepared for scenarios and a Q&A portion! 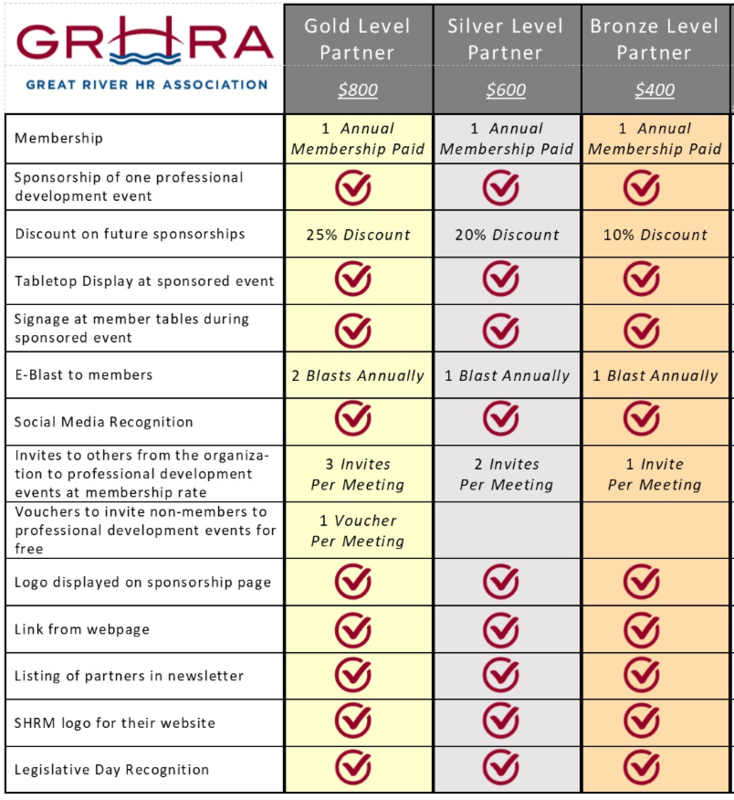 Whether a GRHRA member or not, you may be interested in becoming a GRHRA partner. Within this opportunity, take advantage of the many offerings that GRHRA can provide for both you, personally, and for your business. Review the table below to determine level options. Feel free to click on the image to be redirected to our sponsorship page and have the ability to purchase your level. Developing a strong workforce and creating a pipeline are key issues for business and industry today. Join us for the Spring Super Sector to learn about innovative ways to promote your business and high demand occupations to youth and job seekers. Hear about new educational initiatives in Illinois and Iowa designed to help strengthen relationships between business and education. Changing the dynamics of our workforce will require that every business engages. Learn about systems in place to ensure that your company can connect for success! Attention Chapter Members! Are you searching for ways to get PDC’s? For a limited time, SHRM has offered our chapter members the opportunity to take one of SHRM’s virtual programs and get a second one free. Register for any of the three virtual programs listed below will receive complementary access to a second program from our spring 2019 virtual catalog. This does not apply to any virtual SHRM-CP/SCP Certification Preparation or in-person programs.